With the direct participation of the Nat King Cole Estate, and as part of the celebration of the global entertainment legend’s centennial year, Capitol/UMe will release two new collections showcasing Cole’s music on March 15th: Ultimate Nat King Cole (CD and digital; 2 LP vinyl to follow June 14th) and International Nat King Cole (CD). The former includes an exclusive new duet of “The Girl From Ipanema,” pairing Cole’s original vocals with newly recorded vocals by GRAMMY-winning Blue Note Records artist Gregory Porter, whose much lauded 2018 album tribute to Cole, Nat King Cole and Me, is GRAMMY-nominated this year. On the same date, a newly expanded edition of Marvin Gaye’s 1965 album, A Tribute To The Great Nat King Cole, will be released by Motown/UMe for download purchase and streaming. The releases are among a host of special events, projects and programs commemorating the 100th anniversary of the birth of Nat King Cole, widely acknowledged as one of the most honored and iconic performing and recording artists of all time. Born March 17, 1919 in Montgomery, Alabama, the masterful pianist and vocalist’s initial focus was the jazz idiom, having formed the Nat King Cole Trio while in his 20’s. The group was an almost immediate sensation and proved influential to the extent that no less an authority than Count Basie marveled, “Those cats used to read each other’s mind — it was unbelievable.” Ray Charles inducted Cole into the Rock and Roll Hall of Fame in 2000 and readily admitted to Cole’s monumental influence on him. International Nat King Cole is exclusively available for pre-order from uDiscoverMusic.com. The limited edition CD presents 14 beguiling songs Cole recorded in languages other than English at Capitol Studios in August 1964, including “L-O-V-E” in French, German, Japanese, Spanish, and Italian; “Muetterlein” (“Answer Me, My Love”) in German; and “Autumn Leaves” in French and Japanese. Ultimate Nat King Cole and International Nat King Cole both include newly-written essays by actor and award-winning writer James Ritz. Along with his trailblazing musical career, Cole is recognized for his contributions to the struggle for civil rights and racial equality. His efforts were done in his own unique style. In 1946, Cole broadcast a 15 minute national radio program, “King Cole Trio Time,” the first of its kind to be hosted by an African American musician. In 1956, he also became the first major African American entertainer to host his own national network TV show. 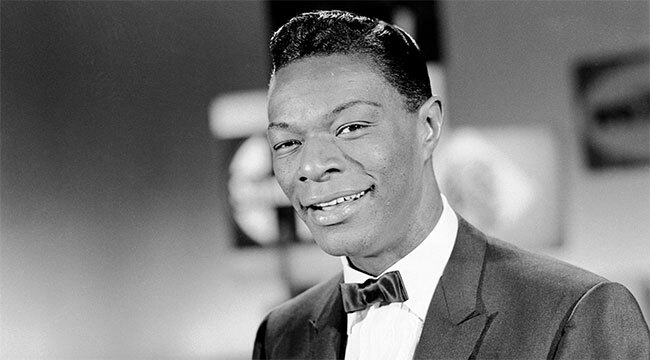 NBC’s Nat King Cole Show aired weekly from November 1956 to December 1957, the cancellation of which was caused by a paucity of sponsors since marketers were afraid to offend white viewers with a program hosted by an African American. Cole also appeared in several films, including his top-billed portrayal of W.C. Handy in 1958’s St. Louis Blues and his final big screen star turn as Shouter/Sunrise Kid in 1965’s Cat Ballou.